If you’ve heard the words “COP21”, “Climate Summit” or “Paris Climate… thingy” but don’t know what to make of them – this is what you need to read. 3 What can we do?! 4 OK, you’ve got my interest. I want more! The 21st Conference of the Parties to the UN Climate Convention, COP 21 or CMP 11 is a United Nations Conference with the goal of achieving a legally binding and universal agreement on climate, from all the nations of the world. The Conference will take place in Paris, and all the UN nations will be represented there. Are you kidding me? All the world’s nations will be represented, and they’ll try (hopefully) to achieve a binding agreement on climate – i.e. they’ll try to agree on what we have to do to help preserve our planet’s climate by keeping global warming at 2 degrees Celsius past industrial levels. The world is already 0.85 degrees in. Up to now, the closest we’ve come to something like this is the 1997 Kyoto Protocol, but it’s pretty flimsy — only 52 developed countries agreed to the modest targets set at Kyoto. The average target was a cut of around 5% relative to 1990 levels by 2012. Compounding the problem is that while some regions and countries (the European Union for example) met their targets, increase from other nations, most notably China and the US, means that overall we’re in worse shape than before — worldwide, we’ve seen emissions increase by nearly 40 percent from 1990 to 2009. An attempt was made to extend the Protocol to developing countries at the 2009 Copenhagen conference, but no consensus was reached. Overall, emissions climbed a steep slope since 1990 – the opposite of what was intended. In that sense, the Kyoto protocol has been a failure. But it was unquestionably an important first step in global climate diplomacy, and there were many lessons to be learned. These would be setting realistic expectations and including developing nations into the framework. But COP21 in Paris might likely succeed where Kyoto failed for a number of reasons, the most important being that most countries have already more or less agreed to level their emissions. Instead of hammering out a target from scratch for each country at the conference, each county was invited beforehand to pledge their intended emissions target, called Intended Nationally Determined Contributions (INDCs). This is genius because the talks can start from a well established footing, amounting to fewer surprises. If a country wrote in its INDC that it pledges to curb emissions by X% by 2025, it’s pretty clear they’re prepared to accept a target that’s at least this strong. There have been 155 countries who have proposed their own plans to curb climate change, covering nearly 90 percent of total global emissions of greenhouse gasses between them. When all of these INDCs are summed together, a global average emissions per capita drop follows of as much as 8% by 2025 and 9% by 2030, the U.N. says. That may be enough to avert three degrees of warming at most, well far off from the stated goal of 2 degrees. Hopefully, a more ambitious consensus might be reached in Paris. Well, we can all play our part — be energy conscious, pollution conscious, and try to limit our carbon footprint as much as possible — but this one is for our leaders. What we can do is let them know how we feel, let them know what we want, and let them know that you care about this, so that they can make the right decision. It’s a monumentally complex issue, but it’s not impossible. We can make it happen – or at the very least, influence the people that can make it happen! OK, you’ve got my interest. I want more! The first thing to do is to stay informed. This is the Wikipedia Page of the conference, this is the official homepage. The internet is also full of relevant and insightful articles, but be advised – take everything with a grain of salt. 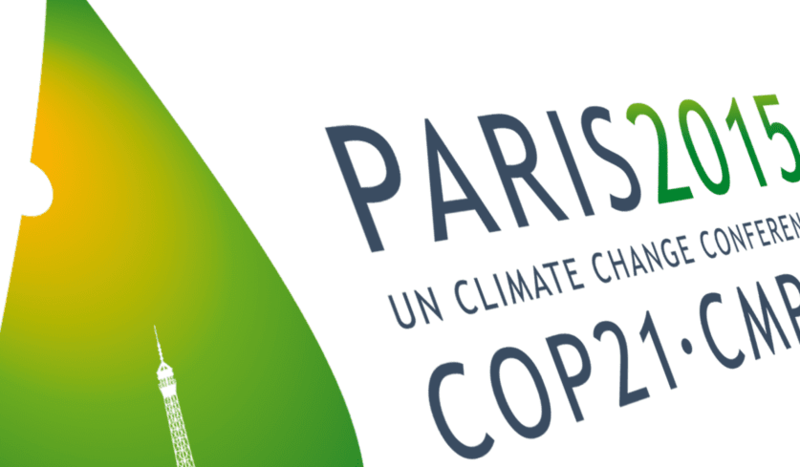 ZME Science is in Paris now covering the latest developments on site from COP21. Be sure to follow the website for updates.